If there's two things that we both really love it's coffee and cocktails so any place offering both is already onto a winner in our books. 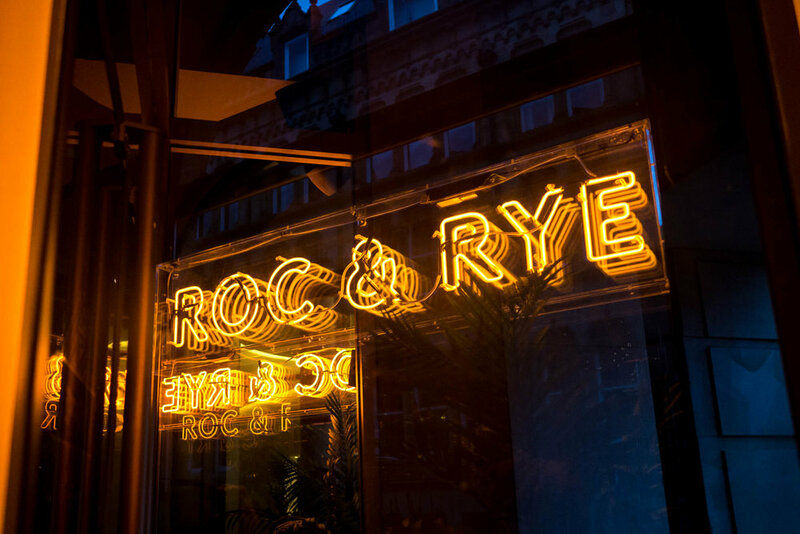 So in our never ending search for a good coffee cocktail that rivals the best espresso martinis that Manchester has to offer (Wood & Co have the best we've tasted for the record) we chanced upon Roc & Rye, a swanky cocktail bar come coffee & brunch spot in a Grade II listed building hiding down the side of Hotel Gotham. 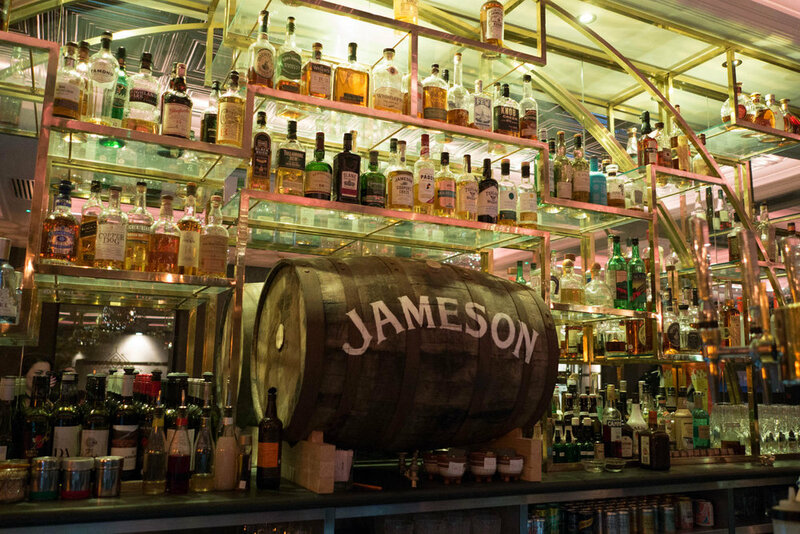 The place itself is pretty huge and decorated tastefully with a small nod to 1920s America with the huge Art Deco piece behind the bar housing all their best spirits. 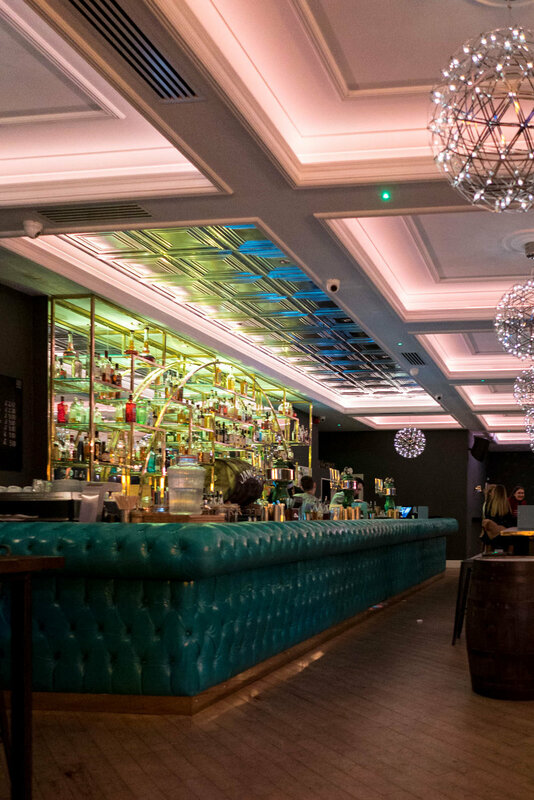 There's long tall bar tables to gather around with friends, and cosy seats dotted around the room which are perfect for cosy dates (and a spot of people watching too!). The cocktail menu is split into two sections, coffee based and non coffee based, the coffee ones are pretty damn special but we are a little biased! If you're a gin lover try the Ori-Gin Fizz, a coffee based cocktail with gentle bubbles crafted from Spent Coffee Beefeater, almond milk, soda and egg whites, served tall and frothy - this one reminded us of an espresso tonic so if that's your jam you're going to love it! For the cold brew lovers out there we'd recommend trying the Córdoba, a classy refined combination of Woodford Reserve, Fernet-Branca, blackcurrant liqueur and cold brew coffee. If you're not into coffee (then are you okay Hun?) 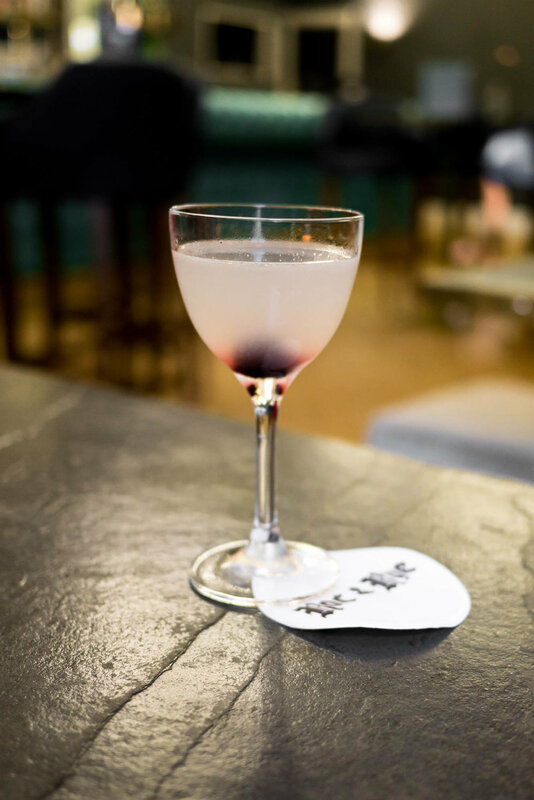 we'd recommend their aviation cocktail, a short sour gin cocktail made from Plymouth Gin, maraschino, violetta and lemon juice which goes down far too easily. Keep an eye out for Sam behind the bar as he'll recommend the best cocktail to suit your tastes if you let him know what you like, plus he shakes up a mean drink! They've just dropped a new menu so we definitely recommend visiting and giving it a try, we've already got our eye on the new Rhubarb Spritz which looks like it could easily become one of our go-to summer cocktails.